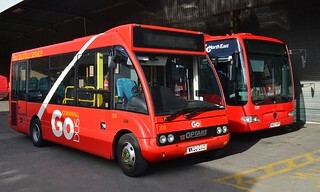 Due to capacity constraints within Chester-le-Street Depot, the operation of all of the depot's minibus contracts are transferring elsewhere. 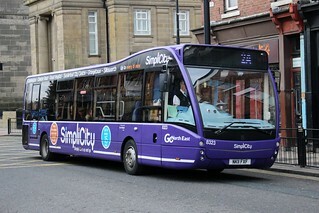 The operation of service 168 (East Rainton - Easington Lane) and evening 237 (Easington Lane - Barnwell) has been transferred from Chester-le-Street Depot to Peterlee and as such this vehicle has transferred similarly to operate these services. Following temporary loan to Stanley Depot, this vehicle has now returned to service at Chester-le-Street. 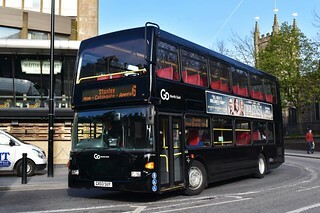 The operation of the Durham Cathedral Bus 40/40A/40B services has transferred from Stanley Depot to Chester-le-Street, following the award of further Durham County Council contracts from 28th January 2018. As such, this vehicle has also transferred from Stanley Depot to Chester-le-Street. Reflecting changes to Durham County Council contracts; this vehicle has transferred from Peterlee Depot to Stanley, where it will join sister Optare Solo M710SE/Optare 706 (WK58 EAE) which is already allocated to the depot. 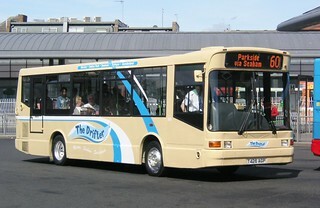 With no preference of which vehicle should be allocated to which service, Stanley Depot has seen the additional requirement for two extra minibuses having been awarded with the five-year contract to operate the Durham Cathedral Bus 40/40A/40B services, previously operated by Stanley Travel. This vehicle has transferred from Deptford Depot to Peterlee. 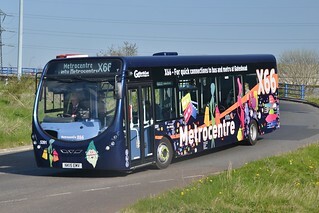 Although intended to be allocated to Peterlee Depot for Nexus-secured service 168, this vehicle has entered service at Deptford Depot. Prior to entering service, this vehicle has had its seats re-trimmed into Go North East's standard blue 'Go' moquette. 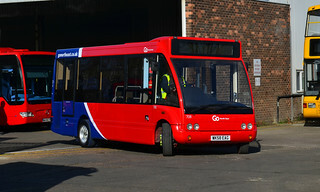 New to Western Greyhound of Summercourt as fleet number 703 in January 2009, this vehicle passed to Plymouth Citybus in December 2014 where it gained fleet number 208. 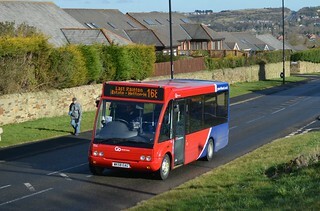 This vehicle has now been acquired by Go North East, where it has received fleet number 708. It is currently undergoing preparation for service at Saltmeadows Road Depot.